By Styles Cradgerock, GUAM – Overshadowing Japan’s recent magnitude 9.0 earthquake and the U.S. Libyan humanitarian intervention, Canaduh’s 2011 federal election racheted up this morning when Billy, my neighbor and confidante, passed on something he had heard from someone someplace. Michael Ignatieff was born in Guam. “Michael Ignatieff, 80, head honcho of the Cerebrals Party of Canaduh, was born in Guam, and as such, therefore, and so on, is not eligible, I think, to run for Prime Minister of Canaduh in this exciting federal election,” Billy told me, warming to his theme. 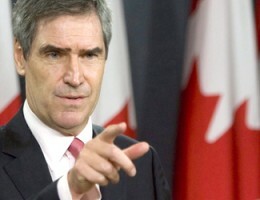 Will Mr. Ignatieff go back there now that he can’t be Canadian P.M.? Folks are more good-looking in Guam? Old folks or young folks? Are the Cerebrals gonna run someone else now ’cause of this scandal? Even more damning, a person at a hospital in Guam attests that Ignatieff’s certificate of live birth is written in invisible ink. This entry was posted in Canaduh and tagged billy, canadian federal election 2011, Canaduh, cerebral party of canaduh, michael ignatieff was born in guam, styles cradgerock, the brutal times, the cerebrals. Bookmark the permalink. untrue. i went to guam. i didn’t see any ignatieff there. how dare you?